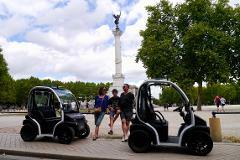 Visit UNESCO-listed Bordeaux at your own rhythm! 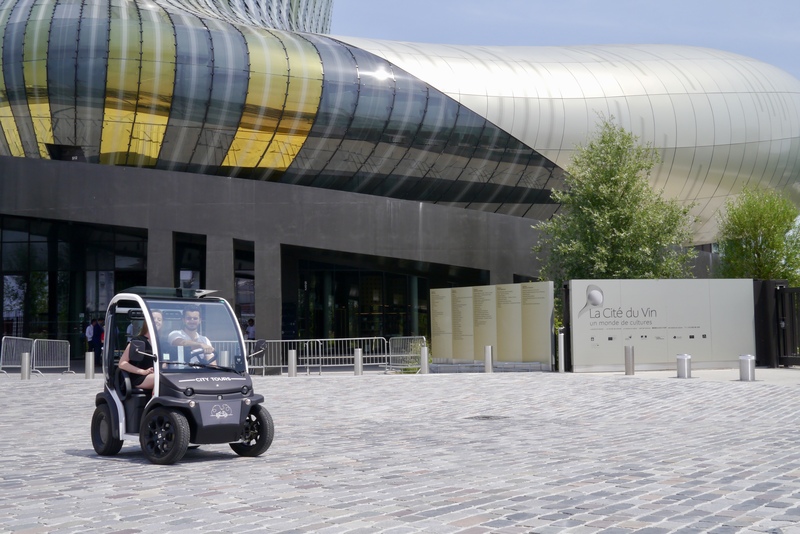 At the wheel of your electric vehicle equipped with a GPS tablet-guide, discover its most beautiful monuments but also the contemporary city and the right bank of the river. 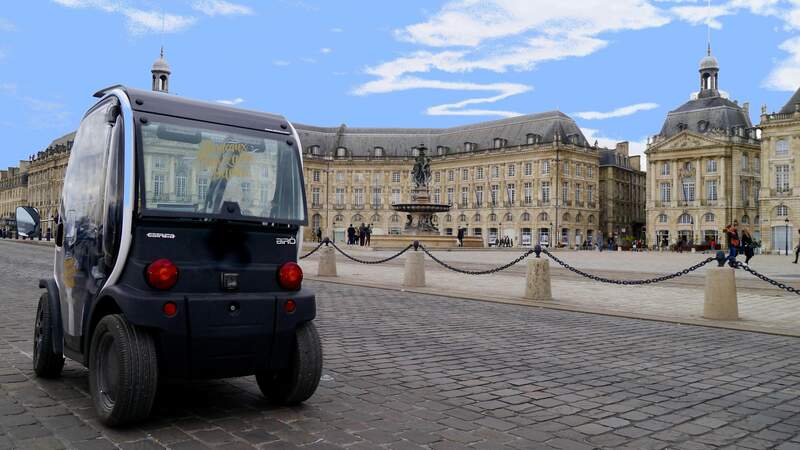 Explore Bordeaux, from the Place des Quinconces to the Grand Théâtre, from the Triangle d’Or to the Place de la Bourse, through the Porte Cailhau and the Grosse Cloche. Admire the facades of the 18th-century quays, the famous Chartrons wine merchant district, the Right Bank and its unique view on the "Port de la Lune", but also the lively squares and side streets of Old Bordeaux where only this small electric vehicle can bring you. 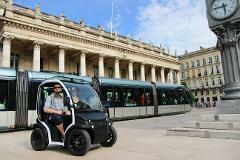 You will also see the contemporary Bordeaux with the Chaban-Delmas bridge, the Court of Justice and the spectacular French Magistrate School, and of course the new "Cité du Vin" wine museum. 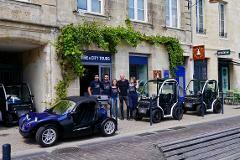 Your electric vehicle is equipped with a storytelling multimedia tablet-guide. 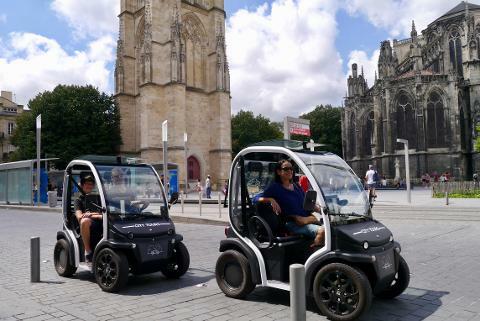 Its GPS will accompany you throughout this 15-kilometer tour so you don't get lost in the side streets. Take your time! You are free to stop as and when you please. Bring along some friends or your family for an even more enjoyable experience. 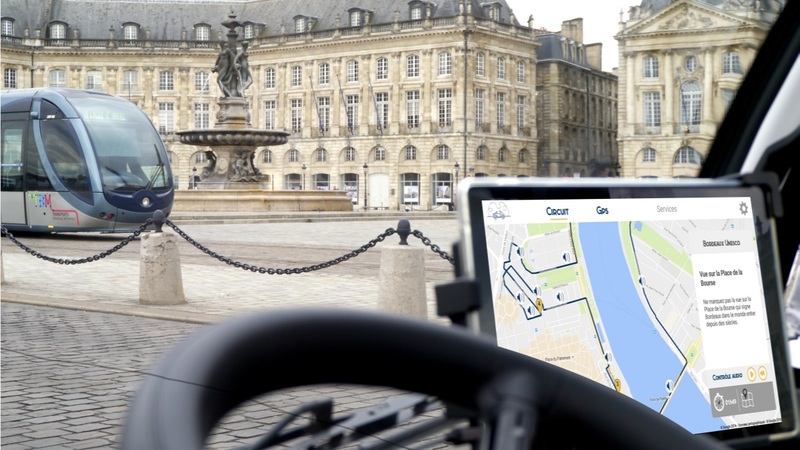 You can book several vehicles and thanks to the “flotilla” mode, your vehicles can be connected and their position indicated on the tablet-guide.